If you already have a good idea of what you're looking for, you might want to start with Advanced Search! You can get to this page by clicking the Advanced Search link to the right of the simple search box. From this page, you can combine multiple searches using limits (like Publication Date) and Boolean operators (AND, OR, NOT) for a more powerful search. Using AND between two search conditions will only return results where both of those conditions hold; this is a good way to narrow your search. For example, if you knew the title of the book you were looking for was "Holes" and its author was "Sachar", you could combine those searches with AND to quickly find what you were looking for. Using OR between two search conditions will return results where either the first or the second condition hold; this is a good way to widen your search. For example, if you remembered that the title of that movie had "red" or "blue" in it (but weren't sure which one), you could combine those searches with OR to do a broad search and find titles that have either word (or both). Using NOT between two search conditions will return results where the first holds but the second does not; this is a good way to narrow your search. For example, if you were looking for books by the author Mo Willems, but only wanted ones that did not have "pigeon" in the title, you could combine those searches with the NOT operator. TIP: You can also use Boolean operators from the simple search box by typing them in all caps! 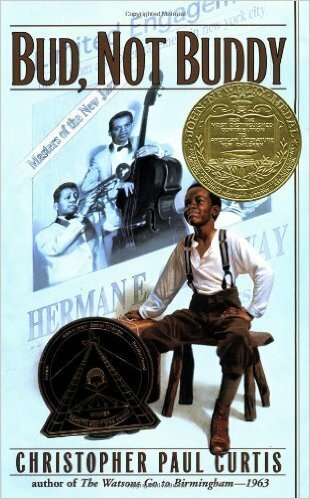 For example, a title search for bud not buddy will find the book called "Bud, Not Buddy"; a search for bud NOT buddy will find books whose titles have the word "bud" but do NOT have the word "buddy".